The Dutch city of Woerden is located in the Netherlands’s green heart, just a few kilometres from Utrecht. 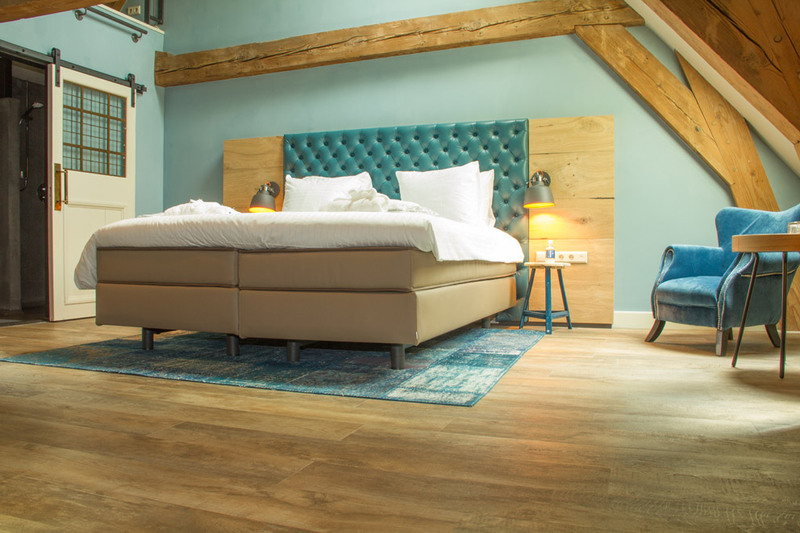 A listed former military building dating from 1762, Stadshotel Woerden has recently been renovated and reopened. The family-run hotel managed by owner Driekus van Rossum also includes a restaurant and a bar, as well as a shop offering local products. The interior is a mix of traditional Dutch cosiness and modern comfort. The design concept was developed by XS Architecten based in Amersfoort. Each of the hotel’s 25 rooms features an individual design. 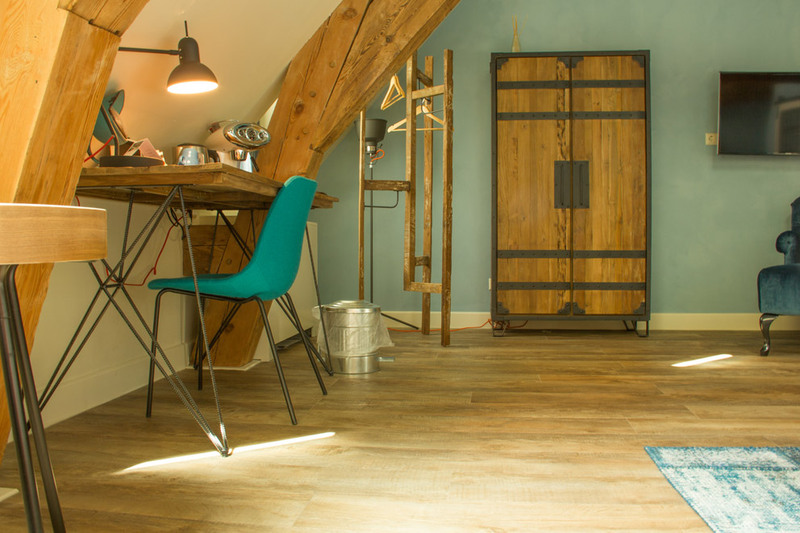 The architects have combined rustic timber beams and historical wooden furniture with modern elements. 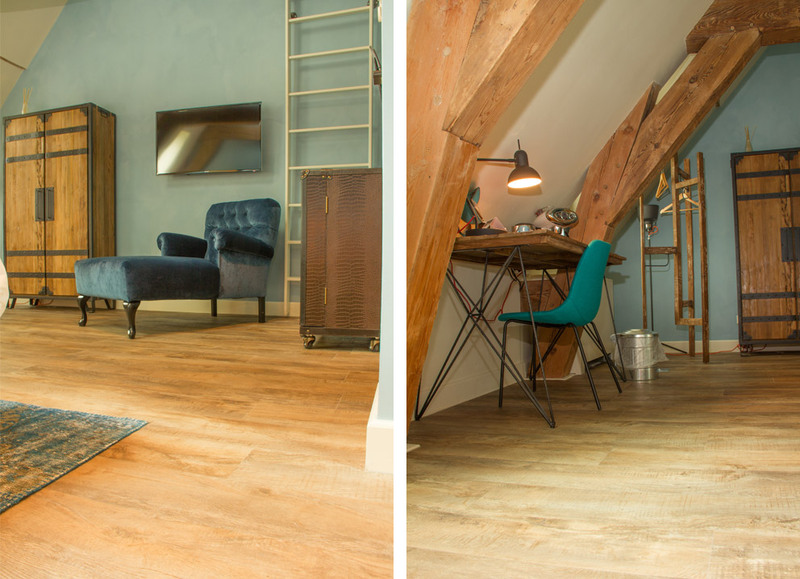 For the flooring, the architects selected the Moduleo Impress vinyl planks featuring a strikingly natural oak effect. IVC Group’s refined ‘embossed-in-register’ technique creates a natural wood effect that emulates not only the look but also the texture of wood.